Driving Around with Bonnie and Clyde. Even if their only information comes from the venerable movie, most people know at least something about Bonnie Parker and Clyde Barrow. Theirs is a story that continues to fascinate, though we�re not really sure why. Perhaps we�re curious about the love they had for each other, which seemed to grow stronger as their lives on the run became bleaker. Maybe we wish we could be rebels ourselves, except for the ambush part, of course. Bonnie and Clyde are not only interesting because of their love or their devil-may-care attitude, but because of their driving. Clyde was a fast but sometimes careless driver, who could put hundreds of miles behind him for days on end without ever really knowing where he�d end up. In her poetry, Bonnie herself alluded to the road as a metaphor for their lives. The places he and Bonnie saw, the highways they traveled � these have become a huge part of their history and much of it is still on display today. 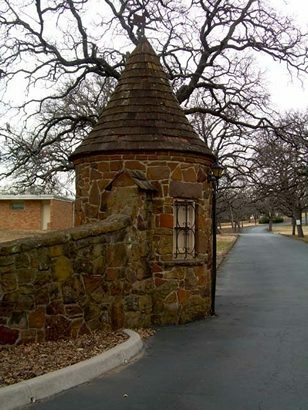 Clyde�s �permanent� home, which he shares with his brother Buck, is inside Western Heights Cemetery on Fort Worth Avenue. Just like Bonnie�s, his stone is encased in cement, as a few misguided souls have vandalized or stolen the tombstones over the years. Top of the Hill Terrace, a former speakeasy, is now the Arlington Baptist College. As Bonnie and Clyde lived lives on the run, they were purported to have stayed in many places during their brief lives. It�s hard to tell where legend and reality meet, but that doesn�t mean it can�t be fun speculating. The Arlington Baptist College, located on the old Bankhead Highway (US 80) between Dallas and Fort Worth, is just such a place. The campus consists of pretty sandstone buildings atop a large hill, a quite serene setting � but during Prohibition, this used to be Top of the Hill Terrace, an illegal gambling casino and speakeasy. Bonnie and Clyde may have dined here on occasion in relative safety from the law. The couple also supposedly stayed in a room at the Stockyards Hotel in Fort Worth, where it is claimed Bonnie left her pistol inside a third story room that overlooks North Main and Exchange Streets. The pistol is displayed in a glass case inside the western-themed room. 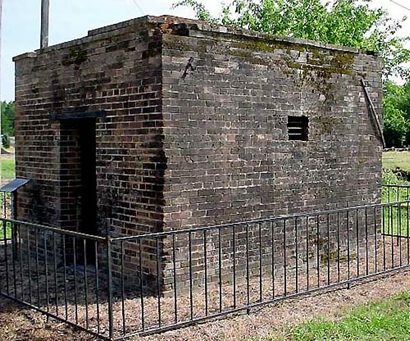 Other Texas towns have their own Bonnie and Clyde history. The panhandle town of Wellington was the site of the little-known crash that crippled Bonnie�s leg. Eastham Prison Farm near Trinity saw the escape of five inmates orchestrated by Clyde. An oil and gas field agent was kidnapped in Electra, near Wichita Falls, and the calaboose in the Kaufman county town of Kemp served Bonnie and fellow criminal Ralph Fults as overnight accommodations when they were arrested for trying to break into a hardware store. While attempting to retrace Bonnie Parker and Clyde Barrow�s run from all that was decent in society can at times seem to be an exercise in the macabre, it does serve a purpose. By just simply taking a journey to the places where their lives took place, one can gain a sense of history that books just can�t replicate. Often, the past is best preserved when one can experience it in the present � even if experienced through the lives gangsters.